GVS Digital Asset Management (DAM): GVS' digital asset management system has been designed to run on our Unix/NT Metropolis network servers; to provide digital graphics professionals an intuitive and productive method for storing, organizing, searching, managing, and sharing their digital media assets. In essence, what DAM allows you to do is drag and drop images, video/audio files, text documents, and other digital content into a central data vault. When the data is placed in the vault, thumbnail representations of these assets are generated and organized into a database that can be displayed/viewed on your desktop. Assets can be searched for in a variety of fashions; such as name, creation date, description and easily retrieved for viewing, playback, annotating, downloading, printing etc. With advanced remote proofing, browsing, and playback features, your clients can instantly review changes and make their own changes or commments. Remote clients and associates may also be given limited access to browse only certain files, video/audio libraries, or other assets. GVS made DAM highly customizable to meet the unique production, administrative, and (even) aesthetic requirements of our clients. A browser based interface for GVS DAM has been created for demonstration purposes. To activate the GVS DAM demo simply click on the blue "demo" button above. If this is your first visit you will need to fill out a short registration form first. Once you have submitted the registration form a user name and password will be issued to you (via email) which will enable the GVS DAM browser interface. 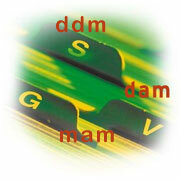 Some features of the GVS DAM product have not been enabled for this demonstration. GVS DAM is a very feature rich data or media asset management package and can be custom configured to meet your specific production or aesthetic requirements. For more information about GVS DAM solutions please select either the GVS DAM for Publishing or GVS DAM or Broadcast "Details" button; where you will find "quick specs" and a link for the GVS DAM product sheet.